with nutrition and Ribose D.
Seeds hold the promise of new life and that is exactly what the Soul product holds for you and me. * Soul is 281 times stronger for reducing inflammation than aspirin. *Inflammation is a major cause of disease, poor health, and pain. BLACK SEED which is a mythical seed referred to in the old Testament and the Koran as being able "to heal all disease but death." It was also found in the tombs of the Egyptian Pharoahs inside the pyramids. For centuries, the Black Seed herb and oil has been used by millions of people in Asia, Middle East, and Africa to support their health. An aromatic spice, it has been traditionally used for a variety of conditions and treatments related to respiratory health, stomach and intestinal health, kidney and liver function, circulatory and immune system support, and for general overall well-being. 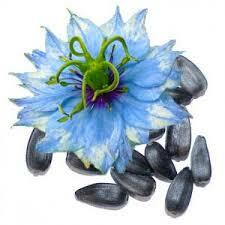 Black Seed is also known as the Blessed Seed. *I have arthritis throughout my body which is to be expected at the age of 89. My son started me on Soul a few months ago. I drink one in the morning and one in the evening. It took a few weeks before I noticed a difference but now I’m able to do things I haven’t been able to do in years. The swelling and stiffness in my hands is almost completely gone and my hip and back feel better than they have in years! Thank you Rain! "My name is Natahlie and I live in the Boston area. All my life I suffered with asthma and allergies and over the years the allergies just seem to get worse, I have arthritis in both knees from being so off balance from a serious car accident in which I suffered several fractures and broken bones which left me with several pins and screws in my right ankle 30 years ago! About 3 years ago I lost the hearing in my right ear about half in my left from a virus and a very loud music hit which left me pretty much devastated. because with the hearing loss came tinnitus! Now just recently about 3 weeks ago I was in fear of losing all my upper front teeth! My mouth was so inflamed and my upper teeth so extremely sensitive to hot and cold and I could not bite into anything and had to drink from a straw...it was depressing to be in so much pain I just knew that was the end of my teeth! Determination got the better half of me to do my research to find a cure for my teeth! I found I was deficient in fat soluble vitamins and minerals. I started taking cod liver oil and skate liver oil which helped a lot with my teeth but I still had one tooth that was still sensitive and I didn't know if I would be successful in getting it to heal before I go to the dentist next Wed. I suffered a serious back injury in 1968 and have been living with chronic back pain ever since. Lately for the last 5 or 6 years I have nagging arthritis pain in my hips, knees and ankles. Also injured both shoulders and have not been able to raise my arms above my head or lift anything heavy. The first day I took Soul, that night I had a very restful sleep, and awoke the next morning feeling fully rested and ready for a new day. I have been on Soul for a couple months now, and today I live pain free, I feel like a new man who is now 62 years young. I now go up and down the stairs numerous times each day without pain. I can get down on the floor crawling and giving my granddaughter a horsey back ride. I can raise my arms above my head and lift things. I can spend hours outside shovelling and working in the yard and doing things I could never do before without back pain. My friend, who was always there to help me, whenever I needed it, was amazed at how much better I have been feeling since taking Soul. So much so, that he had to try this product for both he and his wife, who by the way are now rain nutrition distributors. Back Pain from automobile accident - Just in. Awesome Soul testimony. Back Pain & Multiple Sclerosis - Just in. Awesome Soul testimony. On a call this evening Jedd Neilson, a licensed physical therapist in Utah, gave the testimony of a friend of his who suffered with Multiple Sclerosis. This man is 47 years old and has lived with MS for 10 years. He was able to be taken off 7 of his meds after just 1 week on SOUL, including Lortab & Neurontin. Previous to taking Soul he was in constant pain, unable to do a lot of his daily activities, such as mowing his back yard in a single session. His back pain was so severe that he could only mow one lap, then go inside and rest, then do another lap and rest... In the very first month on SOUL, he was able to mow the entire yard at one time with no resting!! Six months later and he is still seeing incredible results; and he’s still off of the 7 medications. He actually told Jedd that he feels like he regained about 15-20 years of his life! "I have been dealing with nocturia for about 2 years. It's just not any fun, and the medicine for it is expensive. I read where an Asian man was cured of nocturia after trying SOUL. So.... Three weeks ago, I stopped the medicine and was surprised that most nights now I do not even get up even once! I go to sleep and do not awake until I hear my alarm. Even with the medicine, I was still getting up 2, sometimes 3 x a night. The kicker is: the medicine had a co-pay of $60, almost the same cost of a month's supply of SOUL. Regardless, one can not put a price on a restful night's sleep. Everything about SOUL is amazing to me." My mother, 83 years old, had blood in her urine and had to go to the toilet frequently. Each time the pass out was so little. After ONE week of consuming SOUL, she went for her medical check up but her doctor could not detect the blood. Further tests confirmed that her blood in the urine was really gone. She could also sleep through the night as the numerous urinating stopped. She also had diabetes, high blood pressure and high cholesterol and repeated her sentences over and over again. It is almost 2 years now. Her doctor confirms that she is healed from all these illnesses. "I found out SOUL worked too good!" Lloyd wrote: "I suppose this is as good of a time to share my testimony. I am 73 years old, with copd, asthma, type 2 diabetes, rheumatoid arthritis in my right hand, pain in both knees, to the extent it was painful to walk down the stairs, chronic pain in lower back, and even more painful back when I bent over. I became a Distributor and on 1-21-14. I started taking 2 packets a day.Day 1 nothing; Day 2 not as much pain in my knees and right hand; Day 3 almost went into diabetic shock. I found out the Soul worked too good. I went off my diabetes medicine, and have had even more level blood glucose results that I had ever had. Day 4l went to bend over and found I had no pain in my lower back other than a lessened pain in my lower back. Day 5; I realized I could go down on my knees and stand up and no pain. I am still using 2 packets a day." Cancer Duodenal - Another AWESOME SOUL Testimony Just In! "I have had duodenal cancer for 6 years. I was diagnosed with the very worst stage 4 you can imagine. I put my affairs in order, as I was so sick and weak I believed I would die. My surgeon performed the Whipple procedure and although I began recovering, I was never cancer free... in 6 long years I have had all tests come back with cancer still in my body. During my latest visit to my doctor he was doing his usual exam and noted that he couldn't feel my liver... I immediately thought that was a bad thing, but he assured me that it was a VERY good thing, and that up until now he was always able to feel it. He asked me if there had been anything different I had been doing, and I told him about Soul, and that it was the only thing different... (she had only been drinking 1 a day for one month!!!) and he said 'I've never heard of that before, but I suggest you keep taking it!" -- Janice M.
Can I just say I'm in love with Soul! I've been researching natural health products for 10 years for myself and family and have NEVER seen anything like it. I was taking so many products, ie. herbs, amino acids, digestive enzymes, probiotics, vitamins....which are all so great but weren't doing much because I couldn't absorb them. It is my #1 favorite. Plus I was spending a ton on juicing organic fruits and vegetables... And I don't have to take hardly anything else now. Helped with major digestive issues. We ALL can benefit from this wonderful discovery. Thank you to Paul Drockton for introducing us to it. Jennifer Douglas. *"I have waited to share my testimonial about this wonderful product. As I have shared with you I experienced a great decrease in pain in my hips, legs and feet. almost immediately after starting SOUL. I had been told that within two years I would have also have cataract surgery in both eyes. Also, for the past two and one half years I have been experiencing serious diabetic retinopathy in my left eye. I have been given many injections in the eye and laser treatments. That would only help temporarily. Then this past June while on an out of town trip, I went totally blind in that eye. There was so much blood in the eye, I could not see to drive home. That led to surgery to clear the eye. The surgery helped but still did not have complete sight. Also, my Retinal Specialist told me that the cataract surgery would have to be soon because of the surgery, the cataracts would grow more rapidly. I began taking the SOUL late August. After three weeks on the SOUL, I saw an Optometrist for glasses and he told me that my cataracts were so small I probably would not need cataract surgery for another 10 years. I wanted to rejoice at that time but was a little unsure. Today, I saw my Retinal Specialist. I was one letter off from having 20/20 vision. THEN, he said, "you know we talked about the cataract growing more rapidly due to the surgery we did? Well, they are still really small, you are good to go." "Currently I have 23 people using Soul. Almost all began using it as a wellness product. *Hello, everyone. My name is John Davis. I am a 66 year old retiree living in Sandpoint, Idaho. For a number of years I have had BPH and Epididymitis which would cause swelling and extreme pain from my groin down both legs. It would come and go in the level of intensity, but there was always pain present to some degree. I also had symptoms of Polymyalgia Rheumatica which produced more pain pretty much throughout my whole body, but especially in one hip. The combined pain from these ailments had me in such a high level of pain that in October of 2013 I could hardly walk. I had to use a cane to get around. I could not get comfortable sitting or laying down as the pain in my hip and lower back was constant and intense. I also ended up with a bout of kidney stones during this time period which produced more pain than I could stand. The brain fog I was experiencing was also frustrating. My BP spiked and I felt I was knocking on death’s door. I even wondered with so much going on in my body at the same time if I might not have cancer. My daughter, Stephanie Davis Mozel, shared a product with me that she had just found through a friend of hers called Soul. She was sure that it would help with the inflammation in my body and in particular with the pain associated with the inflammation. I took one Soul a day, but after two weeks did not really notice any change. I had been to the Urologist and told that my prostate was enlarged. On a second visit about a month later I had an ultrasound. My prostate had shrunk from the previous visit and my PSA was normal. My BP had dropped from 137/80 to 108/72. I had taken nothing but the Soul during that time. I decided to see a Chiropractor who is also a licensed Physical Therapist, about my hip that still was causing pain issues and limiting my ability to walk. After examining me he said the rotation level was zero in that hip and that I was looking at hip replacement surgery. After undergoing physical therapy for a few weeks, including one treatment of ultrasound using Soul in place of the usual gel, I was tested again for rotation ability and I was at 35% having gone from zero just a few weeks prior. The P.T. told me that 45% is considered perfect. I am still improving and no hip surgery for me! My P.T. is now a believer in the healing capabilities of Soul. resulting in VASCULAR DEMENTIA , along with normal aging issues. Hubby said it was all in my head, made him drink one last night before bed woke up saying he didn't have as much pain in his legs as he did. Took a sample to my 86 year old mother in law who can pretty much run circles around anybody I know but has arthritis and most joint so she's usually having pain and stiffness. She took her last night and said she felt much better so I'll be ordering her case. Both of my sister in laws have some to try. I know there's a difference in me and I believe my mother in law, my husband Mmm a little questionable. I am so sold on soul. *I have had many physical issues for years, almost died twice. Have had fibromyalgia, extreme fatigue, carbon monoxide poison, bouts of extreme dehydration, candida, among other things. The ones I have been most concerned for the last few years are infections and inflammation. I have tried so many products, would get some relief, then I was right back where I was. One product I used was doing very well but ended up affecting my pancreas (It was very sweet). *"I consider myself pretty healthy as I am in the perfect BMI range, take health supplements and I exercise everyday. But when a friend asked me to take a Free Radical Test a month ago, I was shocked to see the results reflected otherwise. It showed that my body had quite an above average free radical level. So I was recommended to take RAIN’s Soul daily. Initially, I felt very sleepy for about two weeks. My bowel movements was more frequent, having me going to the toilet to clear about 2 to 3 times a day. I understood there was a detox effect happening. After 2 weeks, I felt lighter and clear-minded. After a month and till today, I realized that my complexion looks much better and a 95% reduction of breakout on my face. Fine lines on my forehead and corner of my eyes have reduced too. Friends tell me that I looked rosy and pink compared to dull and dark as before. I feel that I have more energy to do my daily chores and play golf now. I strongly recommend RAIN’s Soul who seriously want to feel the impact of good health. *Gastrointestinal challenges. - Just In... Another AMAZING SOUL Testimonial: “Before Rain, I used multiple servings of several liquid supplements that were costly and caused weight gain, gassiness, bloating, and gastrointestinal challenges. Further, when I missed even one serving, I had problems with my sugar levels, energy, sleep, and headaches. I struggled with jet lag that could take weeks for adjustment. With Rain, those issues are gone. I use far fewer supplements resulting in significant savings. I feel great, have lots of energy, sleep soundly, I rarely have a headache, and gastrointestinal function is much improved. I have lost 1 dress size and, on a recent trip from South East Asia, jet lag was reduced from weeks to just 2 days.” –Carolyn W.
“This will be historic growth for all of us… I’m excited to be part of it and I will work harder than ever to meet and exceed all of my goals. For everyone in this group, I offer my services to help with any technical and medical questions. Let’s lift each other up and push the entire group to the highest possible level. All of YOU have become part of my WHY… Success is a journey that involves sharing and bringing others along the path… God bless you!” – Dr. Stan Gross”. That's within just a couple hours of his first day of taking Soul! Needless to say he is ecstatic!! *Kathy Brant Huber: "I had SEVERE hot flashes, drenching me, making me nauseous, and making my head spinning, every 20-30 minutes for months! I woke up at night every 40-60 minutes, and had to change my jammie's 1-3 times per night. Let me tell you I am so happy and relieved. Ok, I'm at 5 days with NO hot flashes, and NO night sweats. I love this stuff! Quit taking Prilosec 4 days ago, and for the first time in my life, no heartburn. Yes, I'm signing up to be a distributor!" "I learned of Soul from Cliff H. at church. I had a knee replacement and had a hard time with it. I was using a walker longer than usual, then a cane. I was becoming a bit depressed. After 3 days of Soul at 3 packs a day, the pain left and my mobility was greatly improved. It was a welcome and pleasant surprise. Thank you Soul!" -Marty W.
*Hello Bob, I would like to thank you very much for introducing me to " SOUL ". After 3 weeks of taking SOUL twice a day, I have NO PAIN in my legs or knees. It feels GREAT to be able to get on the tractor, climb barn steps and go bowling again without PAIN. I also noticed that my skin tags are disappearing, i'm losing weight and prostate is getting better. On EARTH DAY i turned ' 71 ' and feel GREAT !! Thanks........Rain International for a GREAT PRODUCT !! *"When I walk out of my motor coach, it's not a normal step like walking down ordinary stairs, the coach makes you step sideways as you walk down the 3 steps, that puts pressure (sideways) with all your weight on that one downhill knee. After only 4 days after faithfully taking SOUL, the pain in the knee is definitely gone. I am happy!" - Eric S.
*"My mother, who is 86-yrs young, has a caregiver who is no spring chicken herself. The caregiver has bone on bones knees and is frightened of surgery and knee replacement. She used to take lots of Vicoden, watch soaps, and nap a lot. She starts her 2nd box today and she is truly a changed woman. She stays in the yard, trimmed Mom's hedge's (! ), and she's full of energy and makes no mention of pain meds these days. My Mother says: Don't take "that juice" after 4pm, you'll have to much night-time energy! They both love SOUL. And since they are both "set in their ways" , it would have been very easy for them to just dismiss the product." -Vance A. *"For the past couple years I have had terrible leg cramps in the middle of the night that would awaken me and I would have to get out of bed and walk the floor trying to get my toes to straighten out and for the cramping to stop. *When I started the SOUL product from the company called RAIN Things were happening that I had not experienced before, especially in my head. I no longer have the fuzzy head. I am functioning with more mental clarity, and I am remembering things I have not, since childhood. My bones and muscles seem to be getting stronger, and I do not hurt deep in my bones as I did. My movements are becoming more fluid, and I stand up with less grunts than I did. I have a wonderful over all feeling inside. It is hard to explain, but there is a sense of well being I have not felt, in many years. I am excited to see what else transpires from using this great tasting product!" Many Blessings, Carmen "
*On a call this evening Jedd Neilson, a licensed physical therapist in Utah, gave the testimony of a friend of his who suffered with Multiple Sclerosis. This man is 47 years old and has lived with MS for 10 years. He was able to be taken off 7 of his meds after just 1 week on SOUL, including Lortab & Neurontin. Previous to taking Soul he was in constant pain, unable to do a lot of his daily activities, such as mowing his back yard in a single session. His back pain was so severe that he could only mow one lap, then go inside and rest, then do another lap and rest... In the very first month on SOUL, he was able to mow the entire yard at one time with no resting!! Six months later and he is still seeing incredible results; and he’s still off of the 7 medications. He actually told Jedd that he feels like he regained about 15-20 years of his life! *This testimony on Narcolepsy was reported a few months ago by one of our RP that attended a meeting and herd this testimony. “One of the most noteworthy testimonies was from a cab driver from Nigeria who has (had?) narcolepsy. He had recently fallen asleep at the wheel and wrecked his cab crossing several lanes of traffic. He couldn't be left alone as he would fall asleep while cooking or in public. As of the meeting-- he was sleeping like a normal human should while on SOUL. The cause of narcolepsy is a compromised immune system. 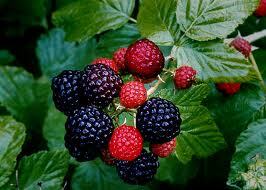 Google says: Optimal amounts of antioxidants are needed for maintenance of the immune system." "After 3 days and upping myself to 2 packs.... I am just amazed. I had some type of chronic neck pain that I could not get rid of. I had been prescribed muscle relaxers. I was taking over the counter anti inflammatory. Nothing worked. It even started affecting my sleep. I was totally miserable. I was getting pressure from my health care provider to get an xray which (I'm a nurse, so I know the process), could only lead to a neurosurgeon referral if there's something wrong. *"We just started to use the SOUL pouches by Rain. Fran and I started with one pouch the first day. Fran started taking one pouch 3 times daily and I started taking two pouches daily. I had been suffering from strained muscles in my neck since March. By Saturday August 10th my neck was about 80% better and today August 12th I have -0- Zero pain!! Also the arthritis pain in my arms has almost disappeared. Great news!! Hopefully, when we go back to the Orthopedic Surgeon on Tuesday, Fran's broken bones in her foot will show growth. Thank you SOUL from RAIN!!" Fran and Glenn S.
*Does anyone have an old injury from high school or other? My husband injured his playing football in HS. Had surgery to repair the torn acl. Fast forward 30 years. Age, jobs that required a lot of squatting, climbing in and out of trucks and heavy lifting (he was a diesel mechanic and then dump truck driver). I heard on a constant basis, "my damn knee is about to fall off". He just learned to deal with the pain, stiffness, inflammation, etc. In the meantime, I join Rain International in October and pick him to be on of my "voluntary" testers along with myself, my mom and his parents. Without going on and on with the results and sounding like some hyped-up crazy infomercial you see at 3am, that after only 3 days, he had ZERO pain in his knee. Zip, nada, none! He also had torn his rotator cuff while pitching in a softball game and then again several years later when he slipped on ice trying to help someone that got stuck in our yard. Decided to not have surgery, and again being the tough guy, just learned to live with it. However, as a result of the injury, he wasn't able to raise his arms above his head. Same story, 3-4 days later, he is able to raise both arms above his head and swing them around with full range of motion. Needless to say, we are a believer. *Sharing...Blessings, Gratitude & Love! - This morning got up pretty good Thank GOD! After a while got a terrible pain from my neck to almost my tailbone...I took one 2oz. *Thought you would find this interesting. A member of our upline is a physical therapist that uses Soul in his practice. His words....regarding using Soul in place of the gel with his machines.. he said it's better than morphine for pain and that he has never seen anything work faster to bring down inflammation. one packet will treat 5 patients. Almost everyone he uses it on becomes a customer. *"What happens when YOU get your finger SLAMMED in a door? ANYWHERE that 2 bones meet in your body and NOW think of that PAIN turned UP and left on for minutes, hours, days and sometimes months, that is how long an acute ATTACK of INFLAMMATION in the Body can last. *"I just got off the phone with my hairdresser, she called me completely amazed and blown away.. in just the first sample I'd given her yesterday afternoon she experienced 100% pain relief and range of motion in a shoulder which has been extremely painful for the past 8 years... it's due to repetitive motion after 35 years of working her profession. She said today she skipped the advil and drank another Soul... she's in love! Yay! I so love to hear how I can help people with a safe alternative to drugs!" Stephanie D.
*"I wanted to wait until I had experienced Soul so I would have my own story .” I have been taking the Soul product for about 2 weeks, and at the same time, I have been spending a great deal of time sitting at the computer and NO time exercising, stretching or going to yoga classes. – In other words I have not been doing the only things that have ever alleviated the pain - not even once during the last 3 weeks. Now the pain is reduced by over 90% - and the only thing I can contribute it to is the Soul product. Also, my husband and I both noticed that we have a much higher level of sustained steady energy throughout the day and right up until bedtime. I love this product and would not go one day without it! From a business perspective, as a previous principal of a network marketing company, I predict Rain (based on the merits of the product and testimonials on Soul to date) will out-perform all of the ‘juice’ companies combined. Thanks for turning me on to this product Herb!" Deb S.
*My name is Rene Hoover. I have been a flight attendant for almost 20 years and on one of my overnights I slipped in the bathtub and separated 2 ribs from my sternum. That was on Labor Day of 2012. I was out of work for 6 months and have been on continued therapy even though I had gone back to work. I was dealing with pain on a daily basis and doctors told me that the pain could be there for 2 to 5 years before I might feel relief. I started taking rain daily at the end of July and just last week the doctor released me and said that the recovery process had been much faster than he had expected. After 45 days on the SOUL product I am now completely pain free. Thank you Rain Intl. for such a great product. Not only am I pain free, but I have much more energy than I have had in many years.